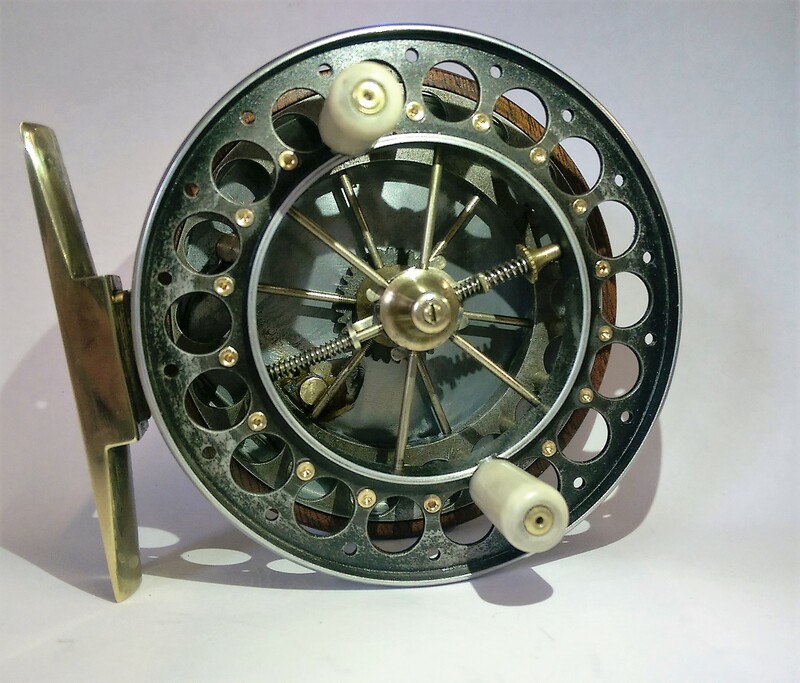 The Mill Tackle's latest limited edition 40 off centrepin 'Millbrook' is a 3"5/16 reel. Mahogany backplate , with float style brass star back , 12 spoke , 18 linlays , on/off check, with white ivorine handles . Orders are being taken now.